Here, in one fascinating volume, are Hollywood's hottest movies from 1939 to 1988—the wide-screen spectacles, the screwball comedies, the sci-fi epics, classic dramas, thrillers, and musicals—the most successful films of each year, ranked according to their box-office earnings. Inside you'll find a treasure trove of intriguing facts, starting with each film's vital statistics, from rental income, cast, and production credits to Acad-emy Award nominations and wins. But this is more than a collection of lists. 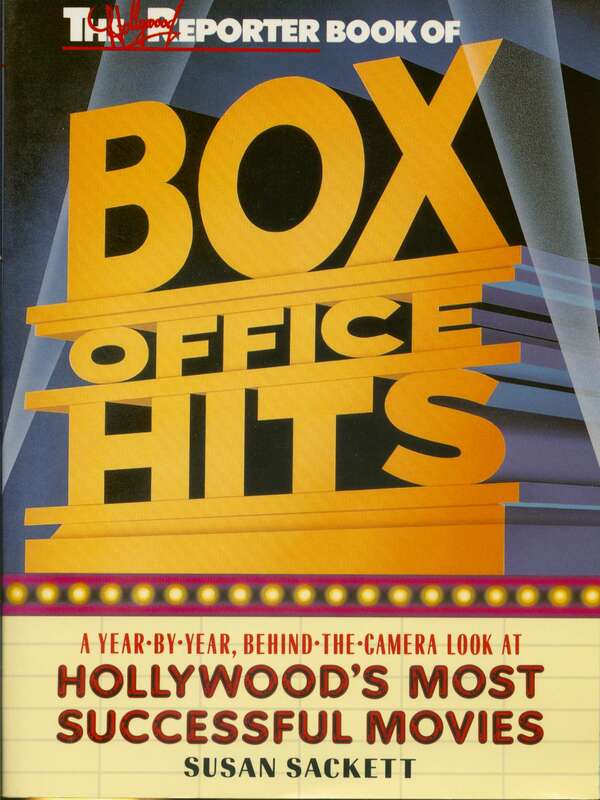 The Hollywood Reporter Book of Box Office Hits offers an insider's look at the people who made it all happen—the studio moguls, the temperamental stars, the writers, the producers, and the special-effects wizards behind the biggest block-busters of all time. Here's a close-up look at how each film was made, how it was reviewed, and how it fit in to the grand scheme of movie history. 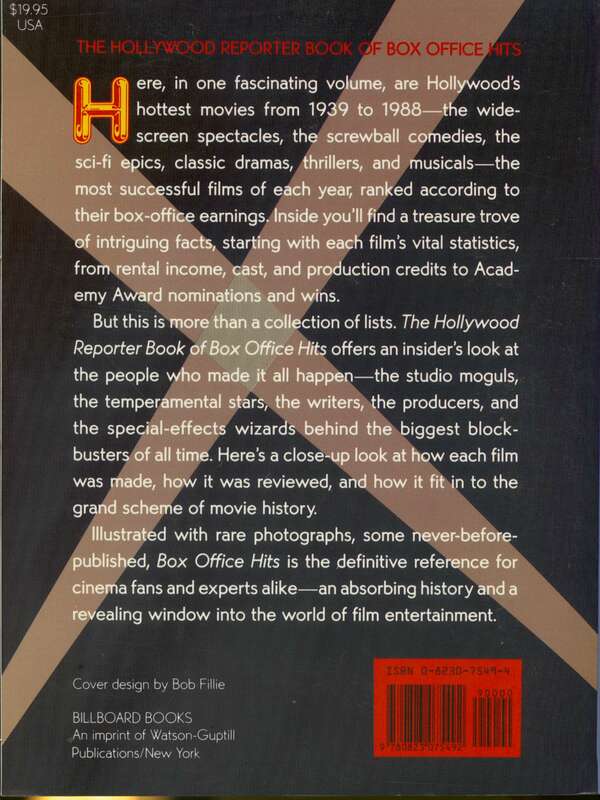 Illustrated with rare photographs, some never-before-published, Box Office Hits is the definitive reference for*. cinema fans and experts alike—an absorbing history and a revealing window into the world of film entertainment. Das Billboard-Magazin ist das bedeutendste Branchenblatt für Musik und Entertainment in den USA. Das Billboard-Magazin ermittelt und veröffentlicht die offiziellen US-Verkaufscharts für Musikalben, Singles und weitere Hitlisten für verschiedene Musikrichtungen, wie R&B, Country und Latin. Customer evaluation for "The Hollywood Reporter Book of Box Office Hits"